Can you tell what flavours I have? No? Neither can I. I just have to pull out a bag and check it. 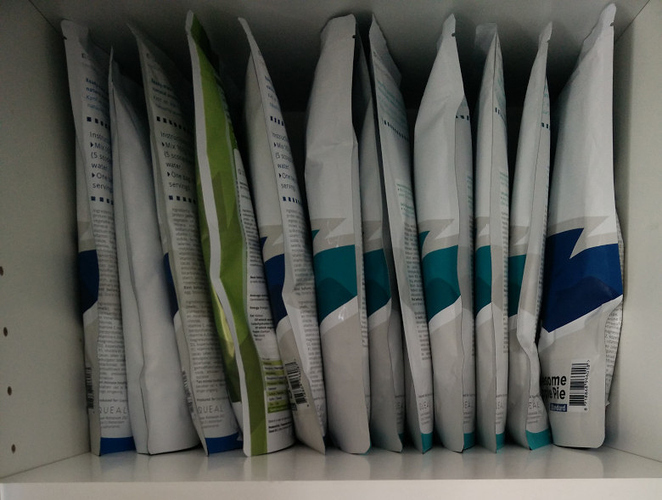 However, notice that with the new Steady bags, you can see the barcode on all of them, even the leftmost. What if a single vertical line of colour representing the flavour was printed just to the right of the barcode on each label - that would allow me to store my bags this way while being able to see exactly what I have and which bag to grab for my current mood.